The final chapter in the award winning (and mega-awesome) Batman: Arkham video game series has been unveiled, meaning you can soon have a 'Batman marathon' on a whole other scale. And this time, you can actually drive the Batmobile! While I pretend to do that each time I'm behind the wheel of my Ford, Batman: Arkham Knight will see Scarecrow gather a team of villains including Two-Face, Penguin and Harley Quinn - who players will also be able to become in special 'extra stages'. Set a year after Arkham City and planning to go out in style, click your seatbelts and watch this breakneck trailer. Man those slow-mo scenes are wicked. Something tells me with Thomas Wayne featuring heavily, Hush could easily stomp his boots in too, not to mention the Suicide Squad, given the ending of the previous games. 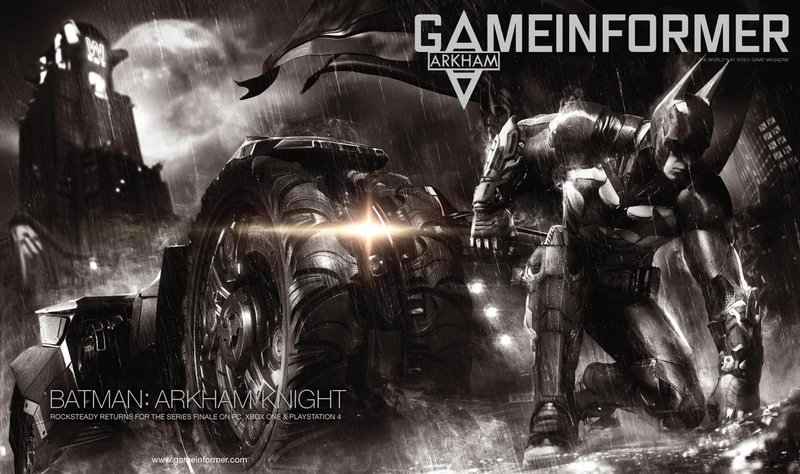 Batman: Arkham Knight will debut later this year on PC, PS4 and Xbox One.